The Doctors embark on their greatest adventure in this 50th anniversary special. In 2013, something terrible is awakening in Londons National Gallery; in 1562, a murderous plot is afoot in Elizabethan England; and somewhere in space, an ancient battle reaches its devastating conclusion. 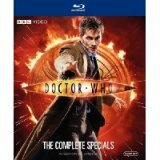 All of reality is at stake as the Doctors own dangerous past comes back to haunt him. 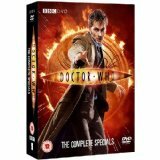 Starring: Matt Smith, David Tennant and Jenna Coleman with Billie Piper and John Hurt. 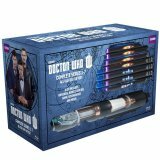 This must-have box set contains the eagerly anticipated feature length anniversary episode, 2 mini-episodes including the explosive Night of the Doctor starring Paul McGann, Doctor Who Explained, Behind the lens and more! 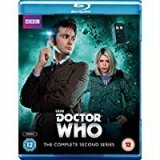 All 14 episodes from the third series of the re-launched BBC television sci-fi classic, starring David Tennant as the latest incarnation of the legendary Time Lord. Guest appearances in this series include Derek Jacobi, John Simm and Ardal O'Hanlon. 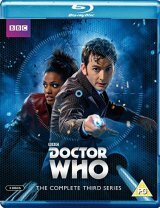 Episodes are: 'Smith and Jones', 'The Shakespeare Code', 'Gridlock', 'Daleks in Manhattan (1)', 'Evolution of the Daleks (2)', 'The Lazarus Experiment', '42', 'Human Nature (1)', 'The Family of Blood (2)', 'Blink', 'Utopia (1)', 'The Sound of Drums (2)', 'Last of the Timelords (3)' and the 2006 Christmas special 'The Runaway Bride'. Kicking off with a jam-packed Christmas special and ending with a blockbuster extended closing instalment, Doctor Who?s fourth series since it was revived is a breathless, exciting one, that also boasts some exceptional episodes. You get fourteen episodes for your money here, and the ones in particular to watch out for are the outstanding Silence In The Library/Forest Of The Dead double header, the almost single-location creepfest that is Midnight, and the trio of Turn Left, The Stolen Earth and Journey's End that round off the series. In the midst of those is also one of the very best cliffhangers that Doctor Who has ever employed in its long and glorious history. 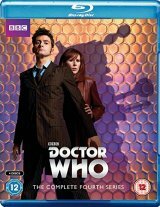 This is also the series of Doctor Who that introduces Catherine Tate as full-time companion Donna Noble, working alongside David Tennant?s Doctor across time and space. And it?s--against initial expectations--arguably the best combination since the show returned. Here, there?s no hint of romance between the pair, as they instead knuckle down to business, occasionally helped by the likes of Martha Jones (Freema Agyeman), Sarah Jane Smith (Elisabeth Sladen) and Jack Harkness (John Barrowman). 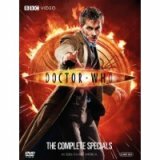 This releases includes all the Doctor Who Specials from 2009 ( The Next Doctor/ Planet of the Dead/ Waters of Mars & Winter Specials). The Next Doctor: It's Christmas Eve in 1851 in The Next Doctor and Cybermen stalk the snow of Victorian London. 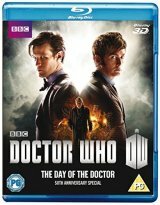 When the Doctor arrives and starts to investigate a spate of mysterious deaths, he's surprised to meet another Doctor (David Morrissey), and soon the two must combine forces to defeat the ruthless Miss Hartigan (Dervla Kirwan). But are two Doctors enough to stop the rise of the CyberKing? The Waters of Mars: The Waters of Mars welcomes Lindsay Duncan as the Doctor's cleverest and most strong-minded companion. The Waters of Mars is a dark, scary thriller that sees the Doctor land on the planet Mars, at a base in peril. A creeping infection beneath the Martian surface threatens not only the human race, but also the Doctor's most fundamental beliefs. Together with Adelaide Brooke - the base's commander - the Doctor must stop a seemingly unstoppable menace before it can reach Earth, and wipe out mankind. 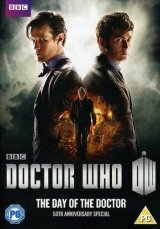 The End of Time: Part One: Join the Tenth Doctor for his final journey in The End of Time Parts One and Two, when his psychotic nemesis the Master has been reborn, on Christmas Eve. With both determined to cheat death, the battle ranges from the wastelands of London to the mysterious Immortality Gate, while the alien Ood warn of an even greater danger approaching, as a terrible shadow falls across the entire Universe. 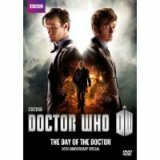 The End of Time: Part Two: The Doctor faces the end of his life as the Master's plans hurtle out of control. With the sound of drums growing louder, and an ancient trap closing around the Earth, the Doctor and Wilf must fight alone. But sacrifices must be made, and the deadly prophecy warns: "He will knock four times."